My most popular post of 2011 and of all time was not the hand-designed pattern for Moroccan poufs nor the suzani templates that took days to sketch. No no no. 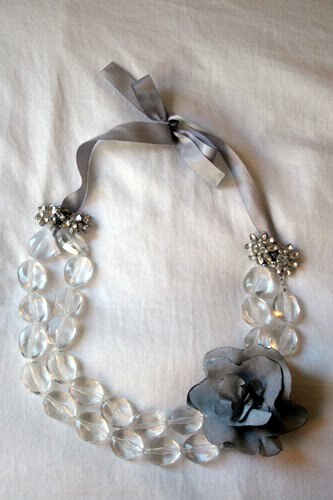 It was the five-second necklace made from ribbon and clip earrings. Thanks to the DIY divas of Pinterest like Becki Malloy who have enough followers to start their own religion, this thing really took off. I can take a hint. Prepare for more stupid simple projects.